It all started in a pub – like these things often do. Sitting with a group of work colleagues, we talked about doing something adventurous together, like a trekking challenge, like going on the Great Wall of China. After scouting around on the internet we came up with, what seemed to be, the best option. 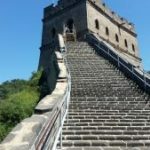 An all-in trip to the Wall, walking for 6 days and a visit to Beijing at the end. So that’s how I found myself sitting at the airport, stomach churning, no idea what was ahead and no idea how I would fare. 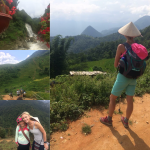 This entry was posted in Challengers, Travels with a Trekker on 2nd December 2018 by Life Changing Challenges. Hello. 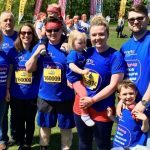 We’re the Motor Neurone Disease (MND) Association and we’re taking over the Life Changing Challenges blog today. You may remember us as the ice bucket challenge charity. That event helped raise over £7 million towards our fight against MND. The MND Association is the only national charity in England, Wales and Northern Ireland dedicated to improving care and support for people affected by MND. We fund and promote research, campaign, and raise awareness so the needs of people with MND are addressed by society. This entry was posted in Charities on 19th November 2018 by Life Changing Challenges. This entry was posted in Challengers on 8th November 2018 by Life Changing Challenges.